September is here and we’ve beautiful collection bursting with unique colors. Inside you will find a gorgeous patterned and designed 12" x 12" My Mind’s Eye Blush kit which includes 5 extra cardstock pages. This collection is absolutely stunning! 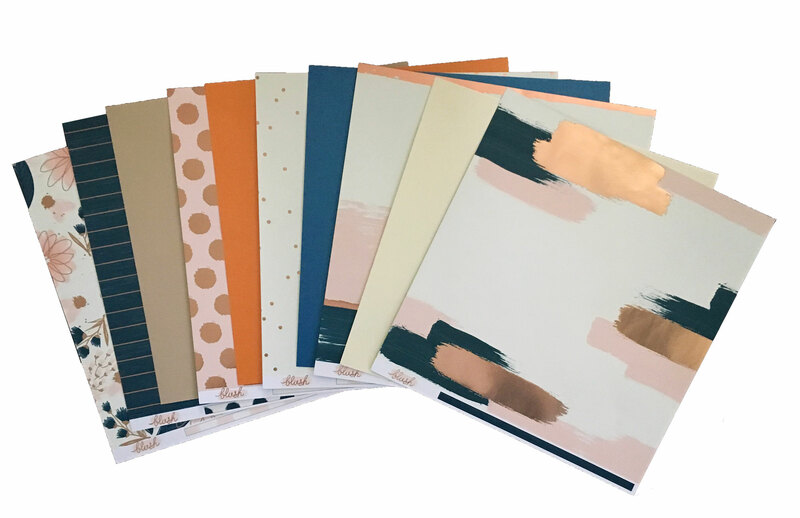 The papers in this collection include patterned floral designs, watercolor inspiration, polka dots, trendy solids and more.